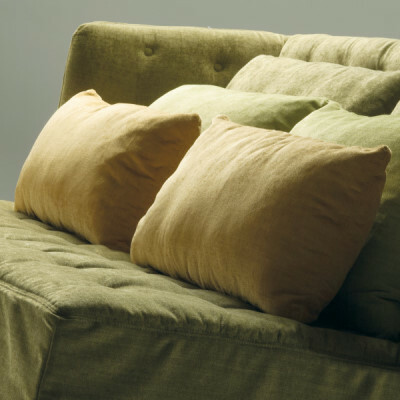 Dorsey is a tufted sleeper sofa with a high backrest and an embracing shape. An original and versatile sofa bed, available as a 2-seater or a 3-seater, equipped with a high density resilient mattress, designed to last through time and provide a comfortable resting surface, supported by bent wood slats. Dorsey is the next step in the evolution of folding beds, both in terms of looks and functionality: it has the same compact shape, but the mattress is doubled up, making it possible to separate the seat surface from the bed one. The sleeper bed can be opened in an easy and quick way: you only have to pull the structure towards yourself and unfold the mattress. The hallmark of this sofa bed is definitely its embracing high backrest that, once the bed is open, becomes a unique headboard. Thanks to its wide range of covers, Dorsey is a classy solution for both classic and modern environments. Dorsey is equipped as a standard with a 11 cm high resiliency polyurethane foam. You can find more information in the Technical Card. The cover is available in fabric, eco-leather and leather in all the colours displayed in the samples page. The sofa cover is completely removable. 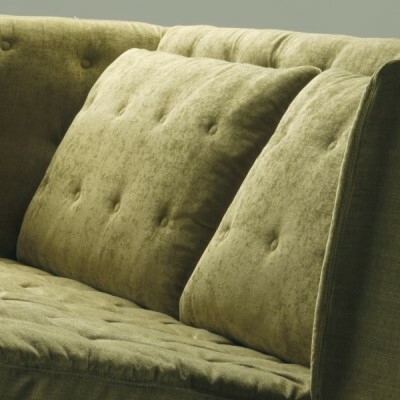 The sofa bed includes a pair of tufted backrest cushions that can be completed with other backrest cushions in several dimensions. Mechanism: high resistance furniture tube, oven coated with epoxy powders in an embossed aluminium colour. Orthopaedic bed base with steamed beech plywood slats. Standard Mattress: h.11 cm 35 Kg/m³ expanded polyurethane, covered on top with 100% cotton fabric, part of which quilted with PL 200 g/m² resin fibre 100% PL wadding and nonwoven fabric; bottom covered with 2,5 mm 3-layer interliner. Headboard: particle wood and solid fir wood. Padding: 27 Kg/m³ expanded polyurethane and interliner combined with mm 10 expanded polyurethane. Tips: open and close the mechanism without lifting it from the floor.